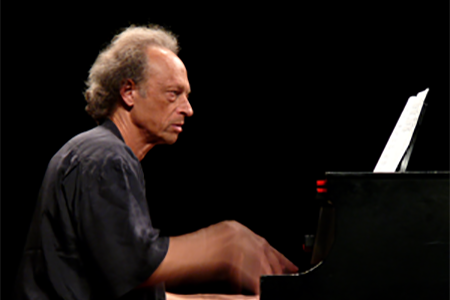 Larry Karush (Los Angeles) is an improvising pianist/composer with roots in Jazz, 20th century western music, African-based percussion, and the music of North India. From Carnegie Hall to the Purple Onion, he has performed Jazz with John Abercrombie, Jane Ira Bloom, Eddie Gomez, Jay Clayton, Bennie Wallace and Oregon, World Music with Kanai Dutta, Francisco Aguabella, Geetha Ramanathan and Glen Velez, and New Music with Steve Reich. He has recorded on the ECM, Vanguard, Inner City, AudioQuest, Music of the World, and NAXOS labels, and received grants from the New York Foundation for the Arts, the NEA/Arts International, Meet the Composer, the California Arts Council, and is the recent recipient of a Guggenheim Fellowship in music composition. The musical delicacy and vivaciousness of pianist/composer Dawn Clement (Seattle) has performed in some of the world’s premier venues including Carnegie Hall, Kennedy Center, Le Conservatoire Superieur in Paris, and Benaroya Hall, as well as numerous clubs, art museums, and theaters. Dawn has also toured the U.S. with a number of projects including the Sabella Consort, the Rubin/Clement Piano Dialogues, and Jane Ira Bloom. Her first CD, Hush, is released on Conduit Records, and she will soon release a new album featuring Matt Wilson (drums) and Martin Wind (bass). She teaches at Cornish College of the Arts.